As marketers, when we think of personal branding we think of branding in general. Big brands and little brands work so hard to clarify their message. To clearly outline and display who they are… what they ‘mean’… And how they want to be perceived in the market by their target audience. As you know, brands can create great stuff and put it out there – but ultimately their brands are owned by the consumer’s opinions. You may love a particular brand, strongly recommend it to others and never try anything from a wannabe competitor. Still, there are others who feel completely opposite. Who’s right? What brands stand out in your mind and why? What thoughts come to mind when you hear Ford, Chevy, Starbucks, Apple? Take that thought process and think about how you’ll need to create and hone your own brand. It’s “easy” (haha). Think about who you are. How do you want to be remembered? What do you want to be known for? And most importantly how do others perceive you? 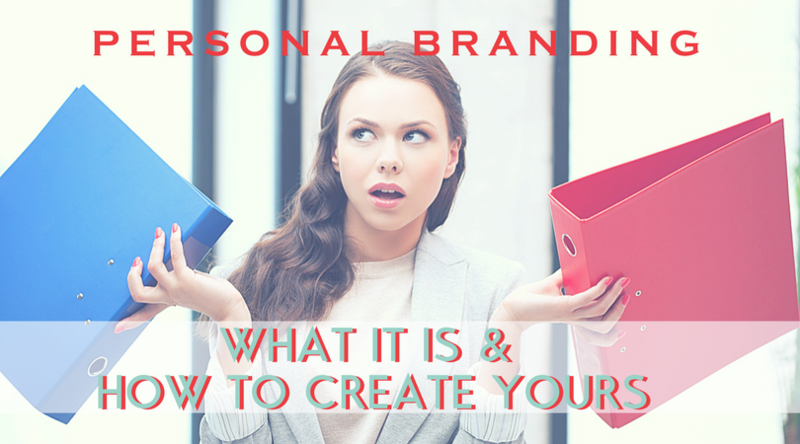 The way you present yourself, the way you handle tasks, the way you make people feel, these are all parts of what make or break your personal brand. And, of course, all of the information you put out there in social media will influence the brand you present to the world – whether they know your not. It’s also very important to DELIVER on these brand promises so that what others remember or perceive, is how you want to be remembered. Do you want to be known as someone who is innovative, fresh and always trying new things? Do you want to be perceived as a positive person who lights up the room, and people look forward to being around? Are you the kind of person to others can count on to do what you say you’re going to do – reliable, trustworthy, someone who delivers? Are you convincing, and confident – helping people to trust and believe what you say and do? These are just a few questions to ask yourself and clarify how you can and will build your personal brand. Here are just a few personal brand qualities to review. There are tons of them. You could even ask others what 3 qualities they think of when they hear your name. This exercise could give you a good idea of what your personal brand is currently, and how you want to build it. I work hard every day and lead by example. I can walk into any challenge, work to identify solutions and motivate others to take action and make a difference. I often “wing it” trusting my instincts and with empathy and understanding. I quickly evaluate situations and ask thought-provoking questions to understand others perspectives. I like making a difference for people and helping them stay motivated to do the same for themselves. How Might Your Brand Be Viewed Externally? These are great exercises to go through personally, and at least once a year. Set a vision for who you want to be and how you can create your personal brand, your personal brand statement or even create a mood board for the type of person you want to be seen as. Building your personal brand isn’t done overnight. It’s a process and we do change with time due to experiences, education, and more. And so we ask, what do you want to be known for? Download a copy of our Personal Branding Presentation here.